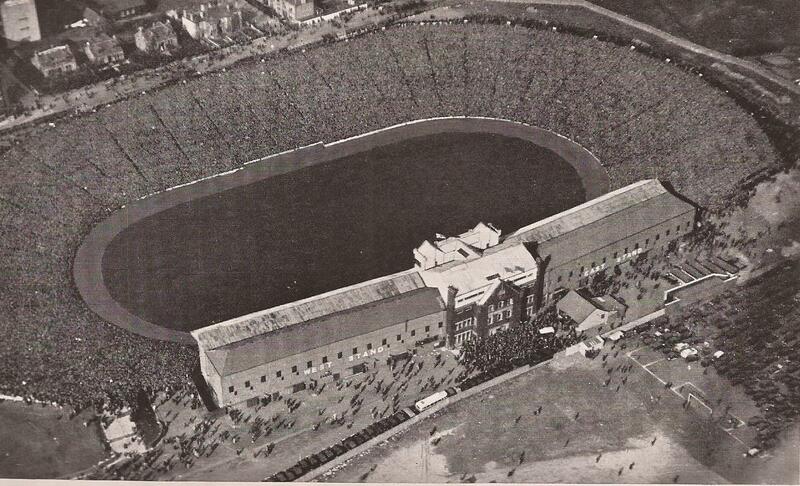 Edinburgh had Powderhall, Glasgow had Hampden, Ibrox and Parkhead. Glasgow was progressive, Edinburgh was content with what had served its athletic father, almost grandfather; but Powderhall was buttressed by Myreside and Craiglockhart, and in such a year as 1900 Edinburgh carried off the honours with WH Welsh at the three short distances,Jack Paterson at the half-mile and mile, and AR Gibb at four miles supplementing Paterson’s previous win at the long distance race in the spring. That grand all round athlete, RS Stronach, like Welsh, a Scottish Rugby cap, credited Glasgow with the hurdles, Hugh Barr, entering from Edinburgh and the Clydesdale Harriers, split the broad jump title between the rival cities, JB Milne took the high jump back to Dundee and DJ McRae conveyed the weight to Aberdeen. Edinburgh enthusiasts rejoiced and I dare say accentuated the not over kindly feeling between the athletic circles in the two cities. The previous decade had been a stormy period. It had seen AR Downer rise to amateur athletic greatness and decline into professional commonplaceness; the Athletic Abuses Commission: the dispute with the Scottish Cyclists Union; and the existence, for two seasons, of rival athletics bodies, the SAAA and the SAAU. The glamour of Downer still subsists in the minds of a few old timers, myself among the number. I can recall the air of mystery that attached to Downer when it got about, as the summer of 1892 drew to an end, that Edinburgh had a rod in pickle as against the following season in the form of a young runner whose start was quickly shortening as his powers were rapidly developing. He had been at two public schools in Edinburgh, the Institution and Watson’s College, and he opened the season of 1893 by winning a sprint handicap at a schools meeting in Edinburgh off a short mark. Then he ran second to DR McCulloch, the sprint champion of 1892, in Glasgow, and beat him over 100 and 220 yards in the Vale of Leven. Still Glasgow was hard to convince. But at the Championship Meeting at Hampden, Downer had the opposition at the sprint and furlong beaten by half distance. In the quarter, he stumbled at the start and lost yards of running, lost ground through a collision at the second bend and then tore up the winning straight, to pass the post three yards in front of the nearest man. I question if anything finer was ever seen in amateur athletics in Scotland. Edinburgh enthusiasts went mad over Downer, a number of Edinburgh sportsmen banqueted the young hero. Some of us, I daresay, that evening read handwriting on the wall. It is not my business to discuss the”split” which rent Scottish amateur athletics in twain. It began in 1895. The SAAA (or Edinburgh as it largely was for the time being) could not do without Downer, and he was induced to have a tilt at Ireland in the athletic International. The match originated in July 1895 and the first meeting was held at Parkhead, where Scotland, handicapped by the split, lost by six points to five. The attendance was limited – what a “write-up” the event would have had today. And there was Downer, a sick man on the morning of the meeting, doing level time in the sprint, winning the furlong in record time, and beating a dashing Irishman in the quarter. For some reason the SAAA never credited Downer with the tie with record in their official list. I wonder if this will be rectified in the book. When next, by the way, I saw Downer, he was running in a little country meeting in a field belonging to a hotel in Penicuik, rain falling in torrents. Downer’s dressing-room was a part share of a bell tent which offered a wretched shelter from the storm. Ere the “split” was healed and the SAAU was absorbed into the older body, the SAAA championships had revealed a great athlete in the making in Hugh Welsh, a member of a famous athletic family with Watson’s College and Merchiston connections. Welsh was likened by followers of the sport to GB Tincler, a great Irish professional runner, whose style was a model for all time. Welsh was a stylist. He was deceptive at the initial stages of a race and gave the impression that he could not break 4 min 30 sec. What he really could do was never known. Welsh, even more than Downer, made amateur athletics a real proposition to the Press in Scotland. I am speaking wholly from memory, but I should say that his great race with AE Tysoe – the winner of the English Mile Championship in 1897, when Welsh was spiked – at Powderhall in the summer of 1898 was amateur athletics “best seller” for the Edinburgh evening papers. The “gate” was big: as for the race, old hands in Edinburgh recall nothing more lovingly than a slow-run race and a tearing finish by Welsh, who literally ran the Englishman off his feet. More than any Scottish amateur distance runner, Hugh Welsh possessed the gift of personality. John McGugh, soundest of milers, had not, nor had Paterson, nor WH Welsh this gift. A short time ago I got a letter from Jimmy Curran, a Galashiels man, who ha, for almost a quarter of a century been one of the most distinguished athletic coaches in American school and college athletics. He was in South Africa with the HLI during the Boer War, and when out there he found young Halswell. 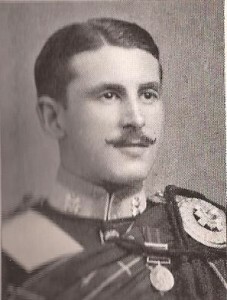 When the battalion came home and was brought to Edinburgh Castle, Curran introduced the then Lieutenant Halswell to get into training and, running in the 440 yards championship in the Championships of 1905, Halswell revealed that a bright new star had risen in the Scottish athletic firmament in the person of this gallant son of and English father and Scottish mother. I went to Edinburgh castle to interview the young officer. He refused to talk. It was not the thing to do on the part of an officer. But, with a quiet chuckle, he handed me a scrapbook, sent him by a relative of his mother, in which he said I would find everything there was to know of him athletically. “I must return it,” he said, bidding me good-bye. This little action was worthy of the man who, when appealed to by a Press representative as to how he spelt his name – Mr DS Duncan refused to acknowledge a final “e”, and I took my cue from the SAAA secretary – wrote that he spelt his name this way. But the recipient of his letter to this day cannot determine whether it is a final “e” or a flourish of the pen. Halswell “made history” in Scottish athletics in 1906. He won four running titles in one afternoon. It was freely prophesied that the like would never be seen again. It has never been attempted, and may stand as a record for all time. The last time I spoke to Halswell was to commiserate with him on the unseemly proceedings in connection with the Olympic 400 metres race. The entire circumstances distressed the high-minded military athlete. He hated the idea that a conspiracy had been engaged in, and he hated still more the fact that the re-run was not taken part in by the American athletes, acting under orders. The fact was that Halswell cared far more for athletic expression than for results. It was felt in the battalion that his reputation was being, as it were, traded in by sports promoters. He said he would end his career with the quarter-mile in the Scoto-Irish International, and did so. Someone gave me a copy of a photograph of Halswell starting in the race. I had it copied and mounted, and years after EH Liddell took away the second copy as one of many souvenirs of his stay in this country. That’s the article as Diogenes wrote it. Apart from Nicolson, it could have been called something like, ‘Great Edinburgh Athletes I Have Known’ but it does give information but even more than details of Downer, Halswell or Welsh as athletes, it gives an insight into the values of the sport at that time.